The captains of Clearwater Fishing Company are licensed and insured charter boat captains with years of experience fishing and boating in the local waters. Each one of us has grown up fishing the waters of Clearwater Beach, St. Pete Beach, and Tampa Bay. Including inshore, nearshore, and offshore. All of us work together as a team to keep YOU on the fish! We have all grown up together and have worked alongside one another for countless years, we take our jobs as captains and guides very seriously as fishing is our only source of income, and it’s your trip of a lifetime! So please come along and fish the beautiful, rich, abundant waters of Clearwater Beach, St.Pete Beach, and Tampa Bay with us, Clearwater Fishing Company. Capt. Jared is a Florida born native that has spent his entire life fishing in the waters surrounding Pinellas and Hillsborough Counties. A full time native fishing guide, Capt. Jared was licensed in 2009 after he graduated Dunedin high school. He has over 20 years of fishing experience in the Tampa bay, Clearwater Beach, St. Pete Beach, Safety Harbor and Tarpon Springs area, and has no problem putting his clients on fish! Capt. Jared truly has a passion for fishing, guiding, teaching, and inspiring others to chase their dreams!!! When Capt. Jared isn’t running charters he can still be found fishing somewhere! Boat- 23′ Dorado, built right here in the Tampa area and is the top choice for many guides in the Tampa Bay area. 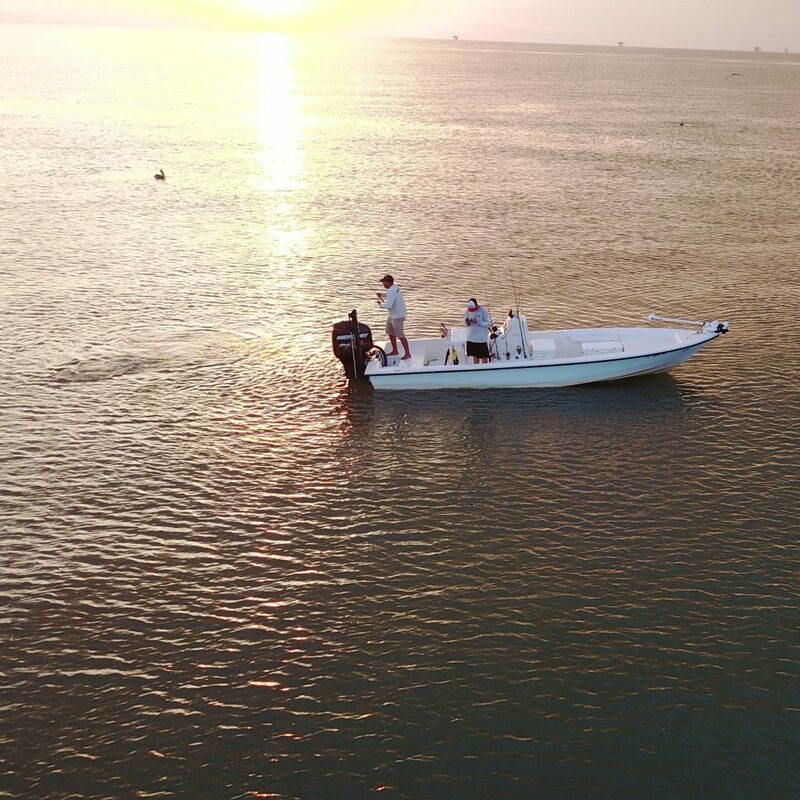 The boat is designed for running the shallow flats as well as crossing the rough open bays safely, thus making this a perfect boat for guiding or cruising here on Tampa Bay. The boat is currently powered by a 2016 150 Mercury 4 stroke outboard. It is equipped with two Yeti coolers, for holding your drinks and lunch or that monster catch, while also providing a nice seat with cushioned tops! The boat also has the latest electronics from Lowrance, I am running a HDS Gen-2 unit with side imaging, which is perfect for tarpon or wreck fishing. The boat is also equipped with a 101lb 36 volt. Minn-Kota Rip Tide I-pilot digital trolling motor, perfect for quietly slipping up on the fish and boat also has dual 8′ Power-Pole to stop in the perfect position in seconds. There is a Bimini top available upon request, often it is on during the summer months. Boat also has a 45 gal. livewell to hold plenty of bait for a day’s fishing. The boat will fish up four anglers comfortably, and up to six passengers for sight seeing tours. The boat is fully self-bailing, and is a U.S.C.G licensed and insured vessel. Boat – 24′ Pathfinder bay boat with a 2017 Mercury Marine 250 hp Optimax, Power-Pole shallow water anchor, Minn Kota I-pilot trolling motor. 35 gal livewell Lowrance GPS/FishFinder. 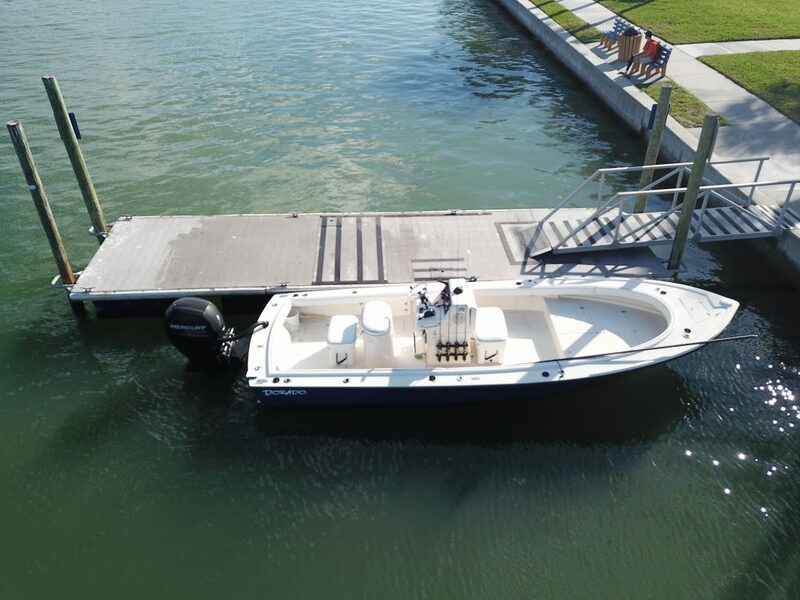 This boat is fully equipped with everything need for fishing the shallow waters of Clearwater Beach and the nearshore gulf waters off Clearwater Beach and can get to the fishing grounds fast and run shallow when need. Capt. Ethan – Born and raised in Safety Harbor Florida, Capt. 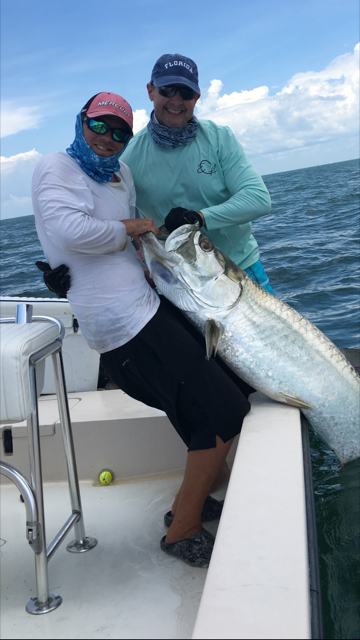 Ethan specializes in sight fishing the flats of Tampa Bay, Clearwater, Dunedin and the Gulf coast for Tarpon, Snook and Redfish with fly or light tackle. Tampa Bay is Florida’s largest estuary which extends over 400 square miles and has more than 200 species of fish. Located in Safety Harbor, Capt. 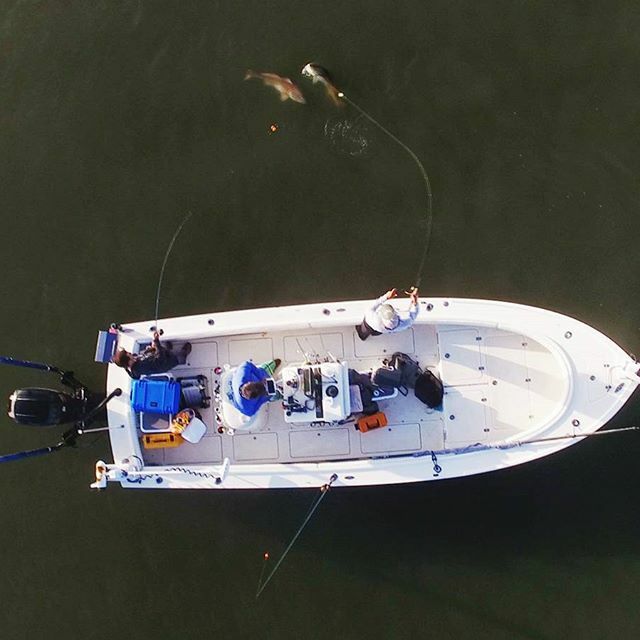 Ethan has the ability to fish all over Tampa Bay and the Pinellas peninsula, ultimately opening more opportunities to accommodate the ever changing Florida weather patterns. Whether you’re into fly fishing for tarpon off the beaches, targeting snook in the back country or poling the flats for redfish. Tampa Bay and it’s surrounding waters offers it all. 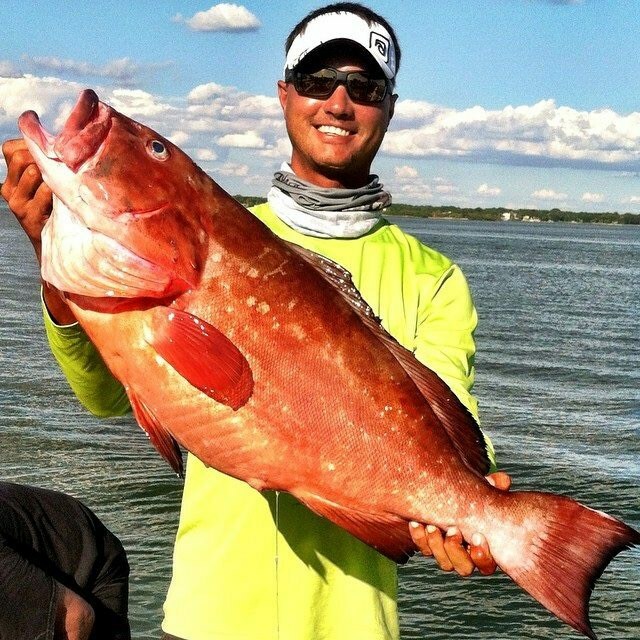 Come experience a trip of a lifetime in the world class fishery of the Tampa Bay estuary. Boat – 2004 18′ Hell’s Bay Marquesa with 2018 Mercury Pro XS 115. The absolute best shallow water fly fishing machine out there, float’s in inches of water and can handle the rough bay waters with ease, and powered by a Mercury Marine Pro XS 115 it’s fast and has the range to go anywhere! For fly fishing and light tackle sight fishing charters in the Clearwater Beach, St.Pete Beach, Tampa bay area this is the boat. Handles 1-3 anglers. Boat – 2016 C Hawk 23′ Bay, powered by a 150 Yamaha four stroke outboard. Equipped with a Minn Kota I-pilot trolling motor and Simrad GPS/ Fishfisnder. 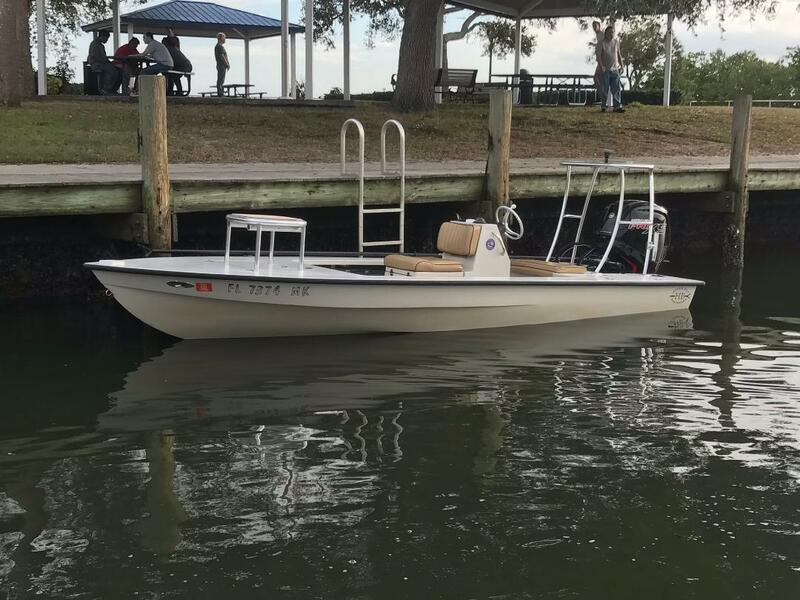 The boat is very roomy, and can fish 4-6 people without a problem and is perfect for fishing the water around St. Pete – Clearwater – Tampa Bay. Captain Mike started fishing as a hobby with his parents at the young age of 3. Family vacations were planned as fishing trips because fishing meant so much to him and his family. 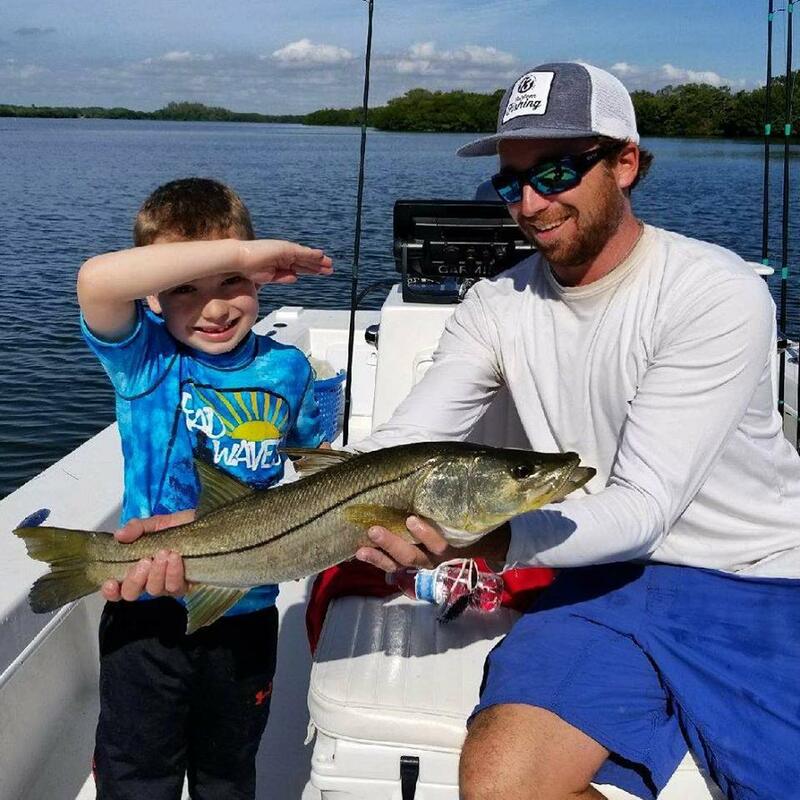 He caught his first snook at the very young age of 7 while fishing in and around Captiva Island, Florida. 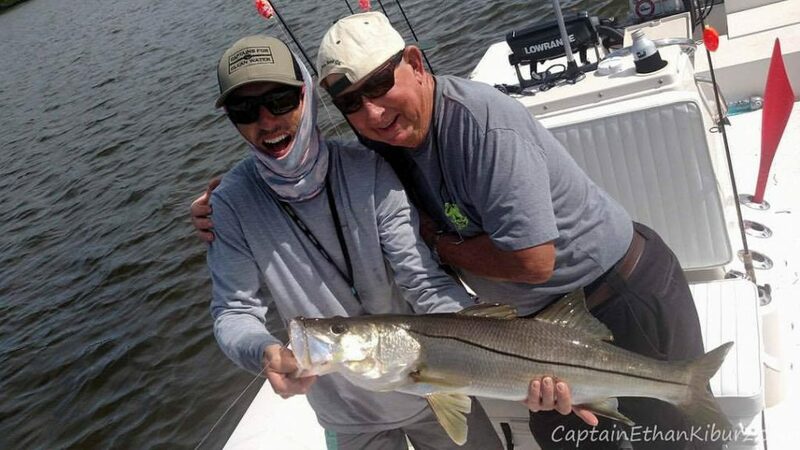 “I will always remember catching that snook because it pulled and jumped like no other fish!” said Mike. In between his saltwater fishing captain Mike fills his time bass fishing in many of the local lakes and ponds, some monster largemouth bass. His first boat was a canoe which he and his father fished in for many years. Mike had another passion which was football. Playing football was what he excelled at. He played as a free safety and had to put his football dreams on hold because of injuries and other commitments. While taking family vacations to Montana, Idaho and Wyoming Mike learned how to fly fish in the mountain streams. It did not stop in the mountains with cutthroats and graylings. He found kayaking as another way to fish. The stealth of the kayak and the quietness of a fly laying down in a foot of water in front of a 40 inch snook was the ultimate quest. 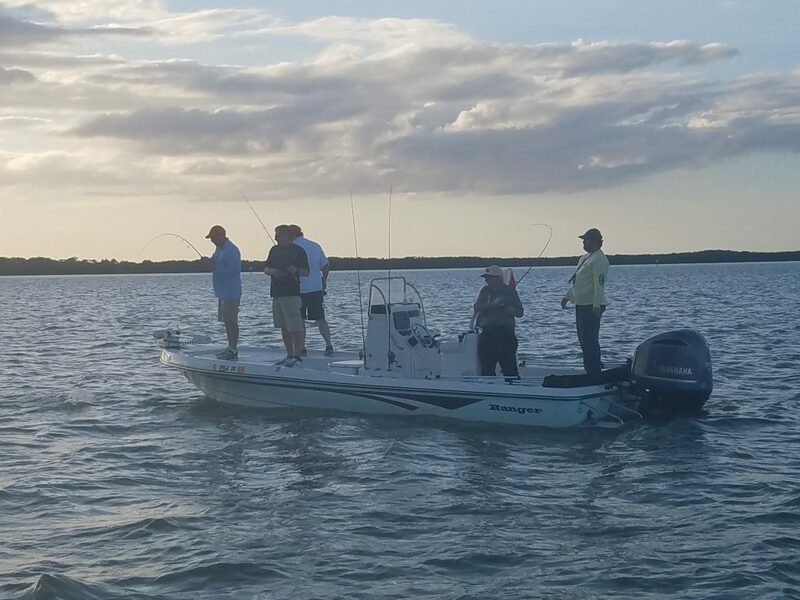 Captain Mike joined the Anclote Key Anglers and formed a friendship with some of the top west coast fishing guides. His mentors, Capt Tim Whitfield and Capt Bill Turney taught and honed his fishing skills along with all other aspects of being a successful guide. Mike passed his USCG exam with exceptional scores at the age of eighteen and became the youngest working guide on the West Coast of Florida. Mike has a gift that is not found, bought or learned. He has exceptionally keen vision and without a doubt better then any we at The Online Fisherman have ever found. Besides being one of the youngest guides in the State of Florida, Mike has been a co-host on some of the most popular fishing radio shows in Florida. 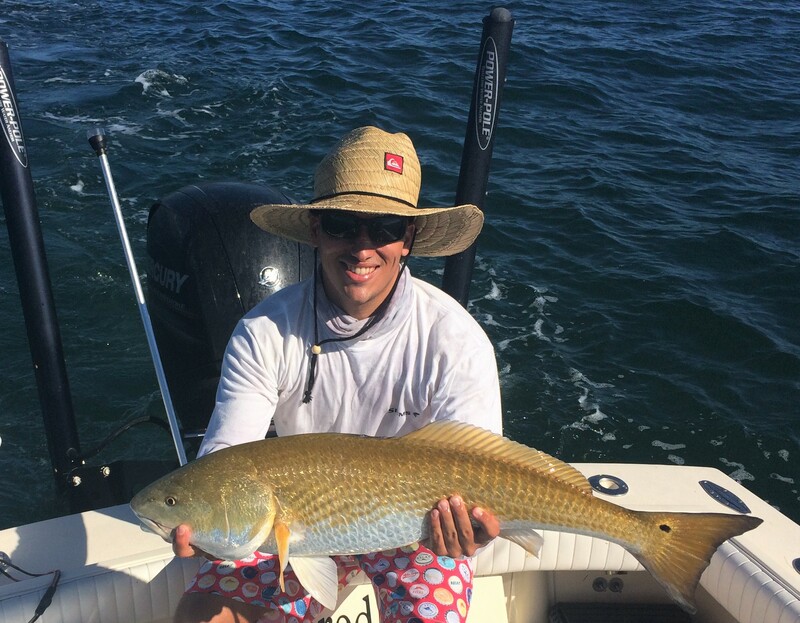 Captain Mike Cole once lead a group of guides during a tournament to a 400 plus redfish day. Yes 400!!! Himself, Capt Tim Whitfield, Capt Bill Turney an Capt Chuck Fesler caught over 400 redfish in a tournament in 2009. They swept every division and became known as the “Fantastic Four”. He has also assisted in the production of a fishing TV commercial and DVD for the education of other anglers. From Tarpon to bull Redfish, from Spanish Mackerel to Grouper. Capt Mike catches it all. Boat – 24′ Ranger bay boat powered by a 300 hp Yamaha outboard. Boat is equipped with a Power -Pole Shallow Water Anchor, Bob’s Jack Plate, Yeti Cooler, and Minn Kota I-pilot Trolling motor. This Boat can fish 4 people with ease, and can fit 6 if needed. Capt. Mike is a third generation St. Petersburg native who grew up fishing both fly and light tackle in St. Pete Beach, Tampa Bay, and Charlotte Harbor. He is a USCG licensed and insured captain, with over 20 years of experience fishing the local waters. As a young child he became absolutely obsessed with fishing and simply couldn’t get enough! While growing up Capt. Mike was an active member of the Suncoast Fly Fishers and helped found a fishing club at St. Petersburg High School. When not on the water he can often be found flying overhead, serving the Florida National Guard as a Black Hawk helicopter pilot. Capt. Mike enjoys all aspects of fishing and being on the water, whether fishing the shallows or open water, having the best experience is first and foremost. Capt. Kevin St.Pete Beach Local and Offshore Fishing expert Capt.Kevin will take you on board the 46′ Legend in search of Trophy Grouper and Snapper off the Coast of Clearwater & St.Pete beach. With over 25 years’ experience in big game deep sea fishing, our Captains have spent years large fishing vessels, private sport fishing yachts, and private charter boats. With a reputation for consistently finding the fish, he’s widely known as one of the Best on the Beach and can be counted on to give you and your party a fun and enjoyable Legendary Fishing Adventure. The Legend formerly known as the 86 Proof, is a custom built 45 foot Torres Sport fishing charter boat. 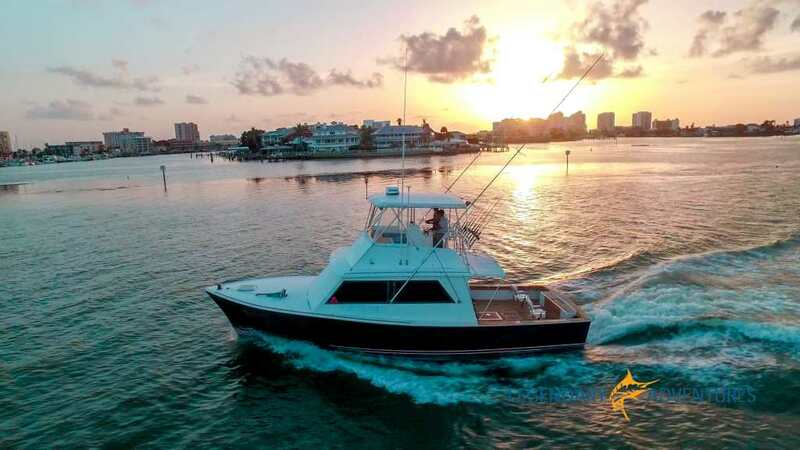 The Torres was purpose built in Key West for charter fishing and is known as a comfortable, fast and clean vessel. It features a diesel engine, super spacious cabin with refrigerator, freezer, stove, and oven. There are 4 main bunks and a full head with toilet, sink and shower. There is additional space on the benches and engine box cover to sleep 4 additional persons. 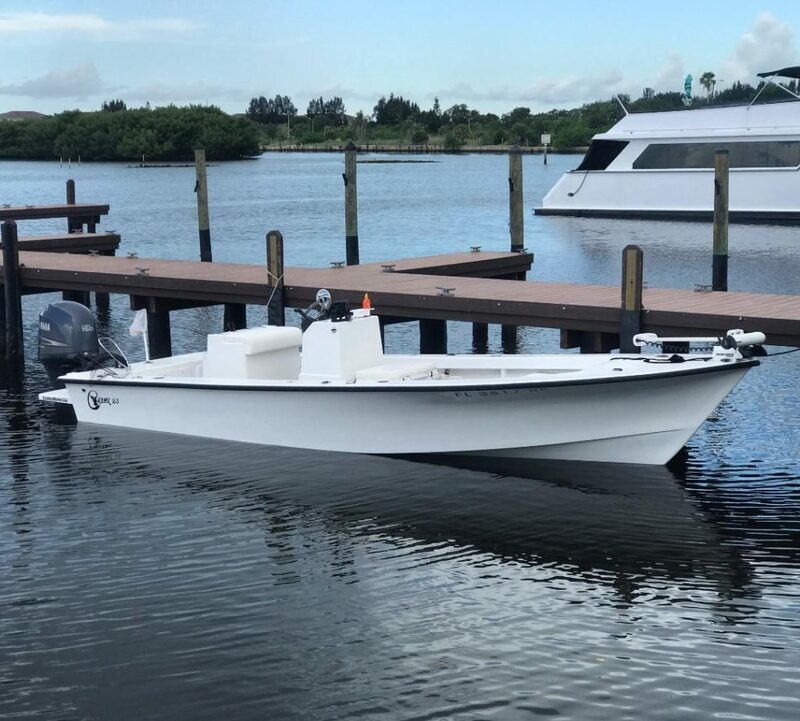 This boat is perfect for the long extended day offshore fishing charter. Our flag ship, “The Legend” slip #42 in the Clearwater Beach Marina is by far one the largest, nicest, most comfortable sportfishing Yachts in the marina.